The month of August, and all of its wonderful weirdness, is beginning its wrap up with a Full Sturgeon Moon in Pisces on the 26th. Things are about to get super spiritual and emotional as we find ourselves more dreamy than we’ve felt in a while (thanks, summer of retrogrades). In fact, don’t be surprised if your dreams start to become more real than ever. This Full Moon is the perfect time to start envisioning what you want to bring into your life, especially as we head into the Fall Equinox next month (a great time for turning those dreams into reality). According to The Old Farmer’s Almanac, some Native American tribes referred to August’s Full Moon as the Sturgeon Moon because “they knew that the sturgeon [fish] of the Great Lakes and Lake Champlain were most readily caught during this Full Moon.” So it’s kind of a sweet coincidence that the Full Sturgeon Moon falls into the Pisces—AKA fish—sign this month. Try to venture near water on the 26th and cast your deepest wishes into the great beyond to harness the magical powers of this moon. Surrender your need for stability and certainty, and give way to the flowing nature of water. And remember: the Full Moon has a relationship to the previous New Moon, so look to the intentions you cast on August 11th and see how you can make the most of them. Here’s what else the Sturgeon Moon has in store for your zodiac sign. You’re being called to go deep, Aries. You’ve been playing at the surface level with a lot of things lately, and though that might make you productive and efficient, it does little to help you grow and evolve for your journey. Don’t be afraid of your emotions. They can heal. This is your time to trust, Taurus. Trust the timing of your life, trust that the people around you are there to support you and, most of all, trust yourself. Trusting involves faith and hope—two ingredients that have been missing from your life for a long time. It’s time to bring them back. You usually cringe at real intimacy, Gemini, but this Full Moon is nudging you to create that kind of special connection and openness in your life. Intimacy means vulnerability, and vulnerability means courage. You’ve got what it takes, and you have what people want. Share it. It’s time to let go a little bit, Cancer. You tend to like your routines and stability, but it’s okay to loosen up and go where the wind takes you sometimes. It’s okay not to have a plan or a safety blanket. Step into the unknown and embrace not knowing. The Full Moon is asking you to soften those edges of yours, Leo. You like to be the boss, take charge, and tell it like it is and you can still do all that but…lighter. Being soft doesn’t mean you’re weak. You can soften without collapsing. You don’t need to fight. Just be. Revel in your joy, Virgo. Sometimes it can take a lot for you to lighten up and laugh, especially at yourself. But that’s what you’re being called to do. 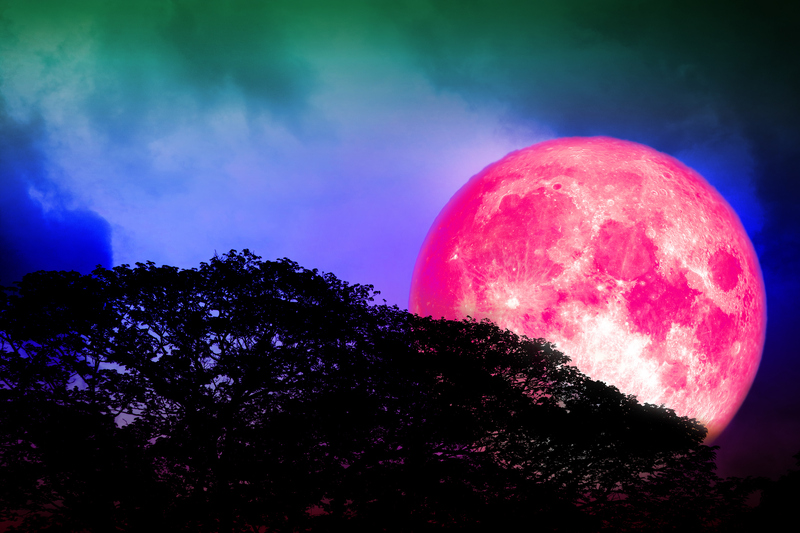 The Full Moon is nudging you to look at yourself with more compassion and levity. In doing so, you’ll feel more than enough. In fact you’ll feel more whole. Try not to rush into anything right now, Libra, especially love-related. You’re in the midst of one of your “in love with love” periods, and thanks to the Pisces Full Moon, you might be fantasizing about that fairytale ending. It’s totally okay to feel your feelings, but heed your head over your heart. Don’t be surprised if you become a puddle of emotions, Scorpio. You’re experiencing an array of feels—from frustration to loneliness—which might cause you to act a little irrationally. Because you’re in a touchy mood, it might be a good idea to have some alone time and journal. This is a perfect time to explore, Sag. Not that you need an excuse to have an adventure. However, this type of adventure is more of the emotional sort. Going for a stroll down memory lane might bring to light insights that need sorting and healing. Getting honest with yourself can bring much-needed clarity. You’re being called to open up in new ways, Capricorn. This could mean expressing feelings and desires to someone close, or complete surrender to a situation—or both. Whatever it is, your practical nature isn’t your friend right now. It’s time to let go and trust, and expose that beautiful heart of yours. Grounding yourself right now will do wonders, Aquarius. You have many ideas, but they’ll remain in the ether until you do something to bring them to Earth. Take aligned action. That could mean something as simple as sending out an email. Reality is your friend. Creating a safe space for your biggest dreams is essential for you now, Pisces. It’s so easy for your dreams to avoid takeoff because you believe the opinions of others rather than your own gut. Keep your goals sacred. Believe in them, and remember they’re yours alone. Dedicate time to them, and watch them flourish. This is a powerful and potent time, bbs. Plant those dreams, feel those feels, and watch your life expand in beautiful ways. The post The Full Sturgeon Moon is coming, and this is how your zodiac sign will be affected appeared first on HelloGiggles.